WHY: For a bag that’s sharp, versatile, and practical, look no further than this Jonathan Adler tote. 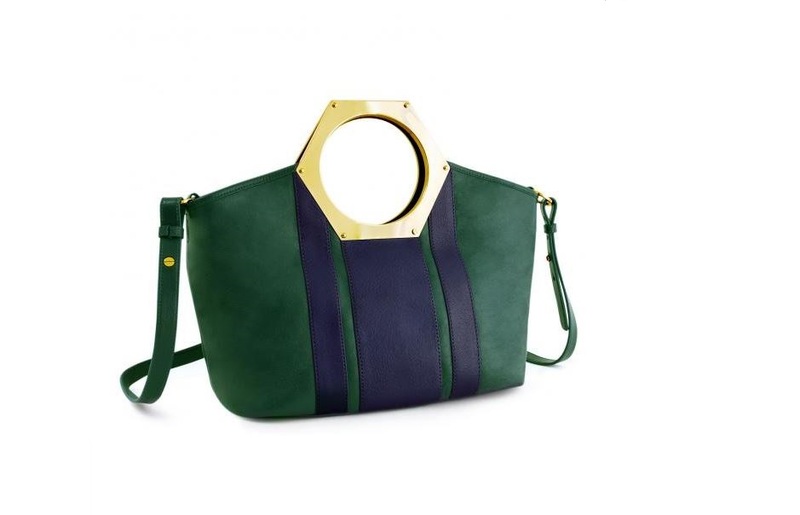 Armed with a bold hexagon-shaped handle and a few racing stripes, it’s a geometric piece you’ll want to tote everywhere. Whether you prefer crossbody or handheld, Adler’s got you covered!